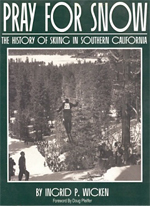 The definitive book on the birth and development of skiing from Los Angeles to San Diego. Illustrated with many never-before published photographs. Pray for Snow was awarded the Far West Ski Association's Western Ski Heritage Award in 2002 and the International Ski Association's Skade Award in 2003. Known for its sunshine and sandy beaches filled with bathing beauties and musclemen, Southern California is a Mediterranean-climate haven for winter-weary Americans from Michigan to Maine. But for those with a hankering for winter sports, one could scarcely ignore the snowcapped peaks of Mount Baldy and San Gorgonio shimmering in the bright California sunshine. By the 1930s, skiing was all the rage, with the towns of Big Pines, Lake Arrowhead, and Big Bear Lake evolving into popular snow-sport locales. 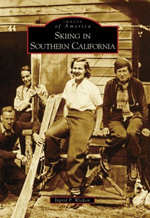 Southern California was also home to many who made their mark in the world of American skiing: Walter Mosauer, the father of skiing in Southern California; Tyler Van Degrift, owner of Los Angeles's first ski shop; Clarita Heath Bright, talented member of the first U.S. Women's Olympic ski team; Dorothy McClung Wullich, first woman member of the National Ski Patrol; and Sepp Benedikter and Tommi Tyndall, both leading the way with ski schools and instruction. These and many others are documented here in this collection of rare and vintage images of Southern California skiing. 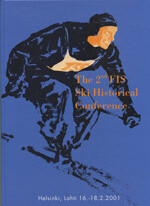 Presented at The 2nd FIS Ski Historical Conference at Helsinki/Lahti, Finland, February 16-18, 2001. 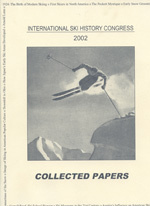 Presented at the 2002 International Ski History Congress at Park City, Utah, January 20-24, 2002. 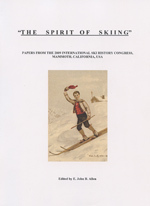 Presented at the 2009 International Ski History Congress at Mammoth Lakes, California, March 29-April 3, 2009. 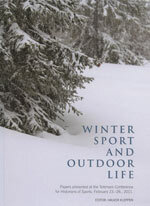 Presented at the Winter Sport and Outdoor Life Conference at Bø, Norway, February 23-26, 2011. 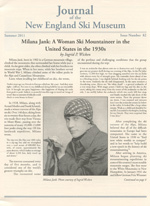 Published in the Journal of the New England Ski Museum, Summer 2011. The snow-laden slopes of the San Bernardino and San Gabriel Mountains have beckoned Southland skiers since the 1930s. Many once-cherished ski areas have disappeared, yet their history remains. A short drive from the sun and sand, places like Rebel Ridge and Kratka Ridge offered snowy escapes. Thrilling races were held at the First International Pine Needle Ski Tournament in North Hollywood, while the San Diego Ski Club boasted Dorothy McClung Wullich, the first female member of the National Ski Patrol. 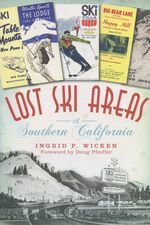 This book chronicles Southern California's lost mountain getaways and the vanished ski areas that introduced everything from rope tows to artificial snow. No image available for this item. (Ongoing digital file). First begun in 1997, the bibliography undergoes periodic updates and is now current to 2011. It is a comprehensive listing (5443 entries) of articles and books in the subject areas of physiology, biomechanics, biochemistry, physics, medicine, psychology, and sociology. 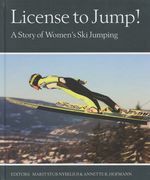 The bibliography includes alpine skiing, Nordic skiing, and ski jumping.